Let’s be honest, the Southern-Fried Gameroom Expo would not be a very fun show without tons of games to play, most of which are provided by you, our guests. That’s why we’ve committed to offering folks who bring their games to share or sell on our show floor some incredible incentives which can include everything from free entry to early access, t-shirts, and even a VIP party. 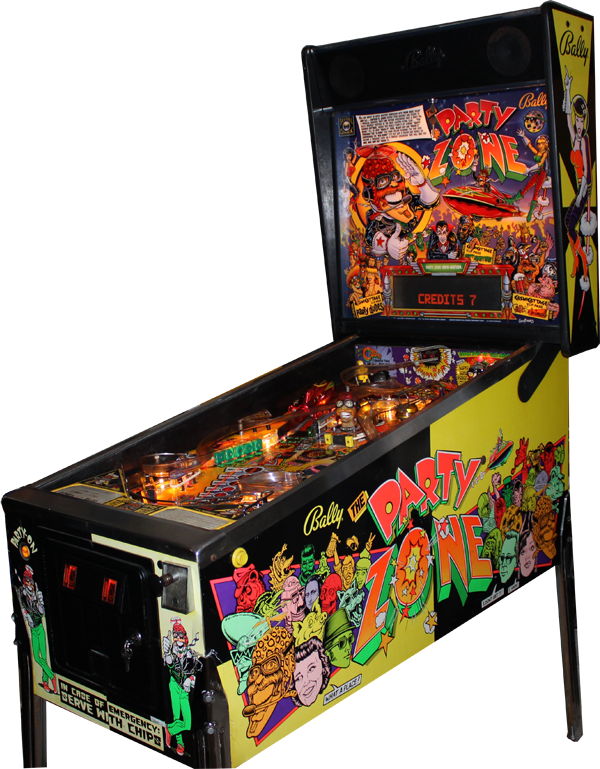 Now, we’re happy to reveal our bring-a-game giveaway for this year’s show…PARTY ZONE!!! Designed by two of this year’s special guests, Dennis Nordman and Greg Freres, the pinball machine pictured above could soon be yours! 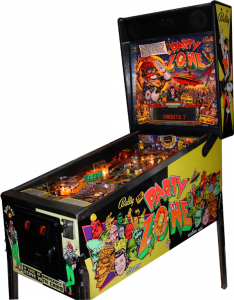 To enter into our Party Zone giveaway, all you have to do is bring a game. For each game you bring, you will receive one entry into our drawing. For example, bring six games and receive six entries into our drawing! We’ll have plenty of other prizes to giveaway as well, so don’t miss out on this fantastic opportunity to bring home a new addition to your gameroom. Check out the video below and SUBMIT YOUR GAMES NOW! !